Don’t know where to start when it comes to procurement and vendor selection? Save time and money by partnering with us. Instead of feeling overwhelmed, we can help you identify the best technology solutions for your unique business needs. Partnerships are the lifeblood of our business. To ensure your successful adoption of technologies you have ongoing support when and as you need so the technology and tools work for you the way they should. We proudly partner with top companies that are leaders in their space to provide you with the best, most effective, integrated solutions that meet the unique requirements of your specific environment. Ascension Global Technology has partnered with the leading vendors in the market to create a team of experts that can help you select, deploy and integrate the technologies that best meet your needs. We have extensive experience deploying leading security as a service technologies for complete end-to-end internet security. Wherever you are along the path of digital transformation, whether you need help to improve your security posture or complete cloud migration services we have the solutions for you. Our partners provide best in class solutions across data management, identity & access management, end-point protection, two-factor authentication, access governance, privileged access management, data security and analytics. Our partners listed below represent the foundation of AGT’s business where we have long-standing relationships, deep technical expertise and a proven track record to provide our clients with technology-enabled security solutions. We are constantly evaluating and vetting the broad information security landscape to provide our clients with the most effective and innovative security technology. AT&T is a global leader in the Technology, Media and Telecommunications industry delivering advanced mobile services, next-generation TV, high-speed internet and smart solutions for people and businesses. Barracuda Networks offers solutions designed to solve mainstream IT problems efficiently and cost effectively through its products spanning three distinct markets, including: 1) content security, 2) networking and application delivery and 3) data storage, protection and disaster recovery. Ceridian is a global human capital management (HCM) software company providing solutions for organizations of all sizes. Ceridian’s flagship cloud HCM platform provides human resources, payroll, benefits, workforce management, and talent management capabilities in a single software solution. The platform helps manage the entire employee lifecycle, from recruiting and onboarding, to paying people and developing their careers. 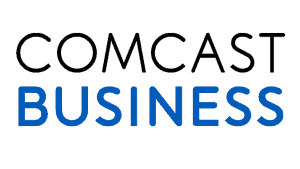 Cisco solutions are the networking foundations for service providers, small to medium business and enterprise customers which includes corporations, government agencies, utilities and educational institutions. 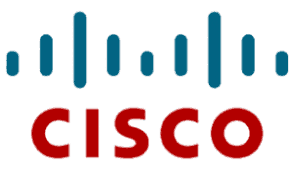 Cisco’s networking solutions connect people, computing devices and computer networks, allowing people to access or transfer information without regard to differences in time, place or type of computer system. Concerto Cloud Services is a fully managed cloud provider for mission-critical applications. Concerto makes IT easy by offering seamless integrations, complete infrastructure management and flexible deployments across virtual private, public and hybrid clouds. CrowdStrike is the leader in next-generation endpoint protection, threat intelligence and response services. It’s core technology, the Falcon platform, stops breaches by preventing and responding to all types of attacks – both malware and malware-free. CrowdStrike combines three crucial elements: next-generation AV, endpoint detection and response (EDR), and a 24/7 managed hunting service all powered by intelligence and uniquely delivered via the cloud in a single integrated solution. Duo combines security expertise with a user-centered philosophy to provide two-factor authentication, endpoint remediation and secure single sign-on tools for the modern era. Duo’s Trusted Access platform secures your organization by verifying the identity of your users and the health of their devices before they connect to your applications. Okta allows people to access applications on any device at any time, while still enforcing strong security protections. It integrates directly with an organization’s existing directories and identity systems, as well as 4,000+ applications. Because Okta runs on an integrated platform, organizations can implement the service quickly at large scale and low total cost to help organizations work faster, boost revenue, and stay secure. Rapid7 provides unified vulnerability management and compliance solutions. The Company offers management software, PCI compliance testing, penetration testing, web application security audits, best practice consulting, social engineering, and training and support services. Riverbed is a complete platform to transform application performance into a competitive advantage by providing business insights, faster applications, and simplified operations. At the center of hybrid networking, the cloud, SD-WAN, SaaS, mobile, big data, and infrastructure visibility, Riverbed is building a software-defined architecture for digital business. Viptela SD-WAN built on the Viptela Fabric is a purpose-built solution from ground-up to provide secure, scalable, resilient WAN and with optimal user experience for applications for a Cloud-ready enterprise. Zscaler delivers a safe and productive Internet experience for every user, from any device and from any location — 100% in the cloud. Zscaler delivers unified, carrier-grade internet security, next generation firewall, web security, sandboxing/advanced persistent threat (APT) protection, data loss prevention, SSL inspection, traffic shaping, policy management and threat intelligence.